If you love dessert mixed drinks then we have a winner for you. This Salted Caramel Martini is a fantastic mixed cocktail drink with flavors of caramel, salt, sugar and cinnamon. 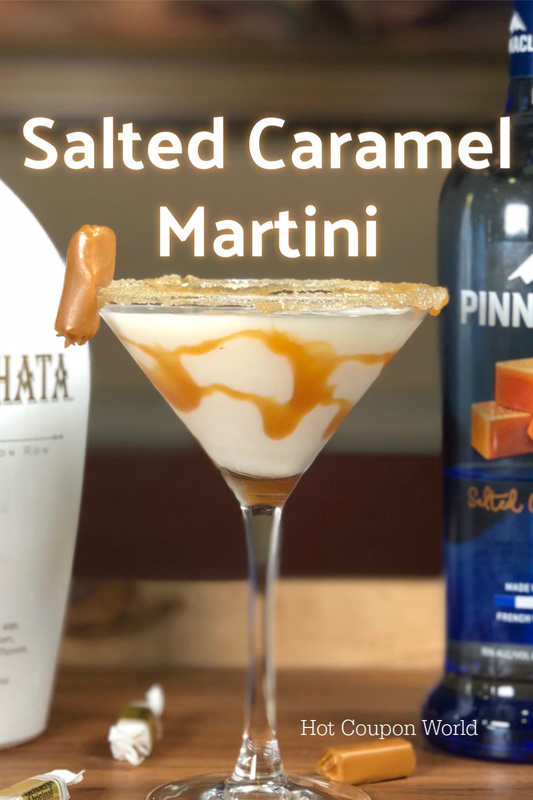 This delicious RumChata based drink includes salted caramel vodka, RumChata, caramel syrup, fine salt, sugar and caramel candy. Before we get into this recipe be sure to try our toasted coconut martini! This delicious RumChata based martini recipe is the perfect after dinner cocktail that you and your dinner guests will love. Super sweet and salty after-dinner desert drink. Place about half of the caramel sauce on a small plate. Mix the salt and sugar together on a small plate. With just the rim touching the caramel sauce spin the martini glass to get an even bead all the way around. Add the ice to the shaker. Pour the RumChata and Vodka over the ice. Shake until well mixed and chilled. Drizzle caramel sauce on the inside of the martini glass. Strain the martini from the shaker to the martini glass. Garnish with a piece of chewy caramel.